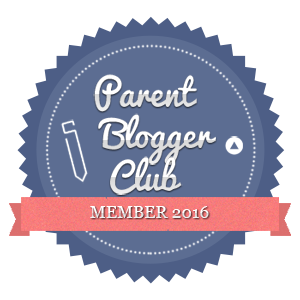 Welcome to part twelve of our ‘Christmas Gift Guide’. You will no doubt be either really excited or totally put off having seen the title of this post but it is actually only a few weeks until Christmas. I’ve officially started my Christmas shopping now. 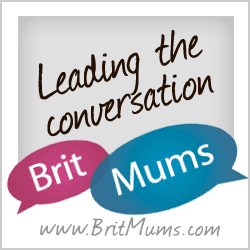 I am always a bit caught up between wanting to be organised and just feeling it’s all a bit too early, but I have even wrapped a few things now – mainly to avoid little straying eyes I have to say. Stockings for the little people in our lives often contain chocolate and sweets among the token clementine, but what do the elves put in baby and toddler stockings? What about some tasty treats from Ella’s Kitchen? 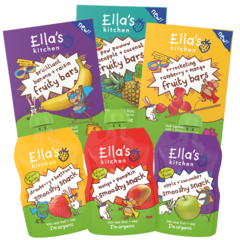 Whether they just get some of their favourite Ella’s products or whether it’s used as an opportunity to try some new Ella’s snacks, there are plenty to choose from. 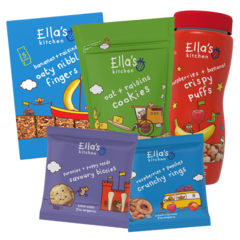 Ella’s snacks have been in our stockings for years and we will be hoping Santa and the elves pop some more in this year. 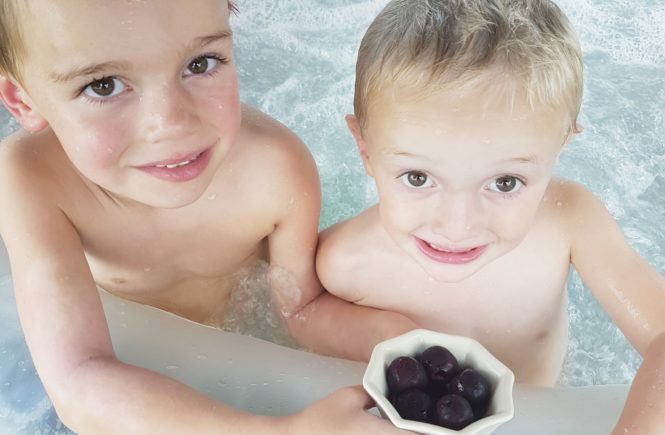 Here are just a few suggestions – all yummy and all organic, making a tasty and healthy Christmas day for tiny tots. 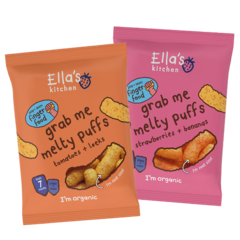 We love the grab me melty puffs (especially the strawberry and banana ones) and also the children are crazy about the new pouches aimed at children 3+ – the apple and cucumber pouch goes down storm. You can buy these from most supermarkets, but I always order a job lot from the Ella’s online store as we get through them so quickly.